Children from Stepps Primary School have helped one of the UK’s ‘greenest’ buildings to get greener. The youngsters joined eco-innovation business, Plan Bee to help increase Scottish Water’s sustainability credentials. The utility giant is working alongside Plan Bee to introduce an education element to the partnership, with local primary school children involved in the creation of a wildflower meadow around the hives, helping to provide a rich source of available pollen for the honeybees and a colourful view for employees and visitors to the site. Plan Bee has worked with small family-run businesses and global household names to promote sustainability and the importance of bees within our delicate ecosystem to community groups across the UK. 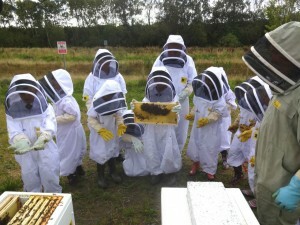 In some instances, children have been involved in designing and painting beehives. 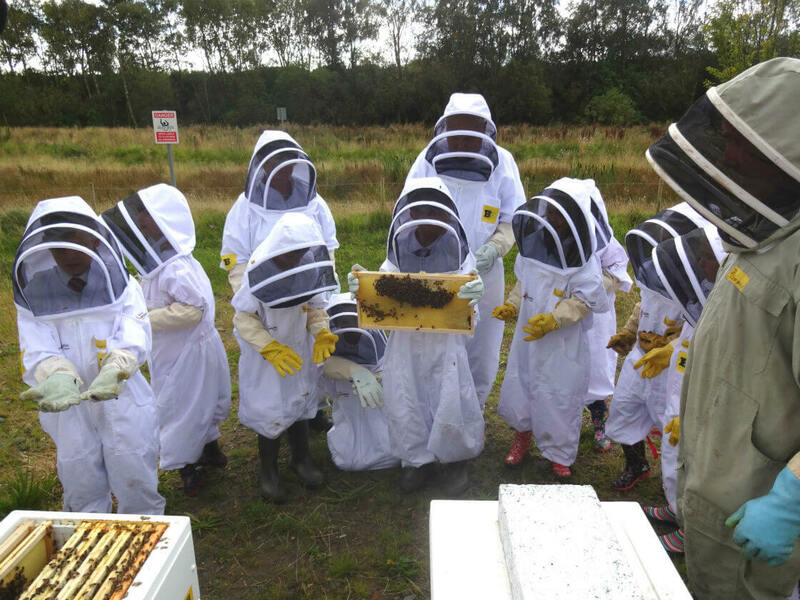 Plan Bee is a Legacy 2014 business, and worked with a dozen schools to promote lessons around the environment, literature, history and art in the run up to the Commonwealth Games.